While we know that content, execution, and details are important in sales, content that comes with images gets 94% more views than content without images. That means that you need to show your clients whatever you can, no matter your limited resources. If you’re wondering “can stock photos convince customers”, the fact is that they need images to believe your marketing message. 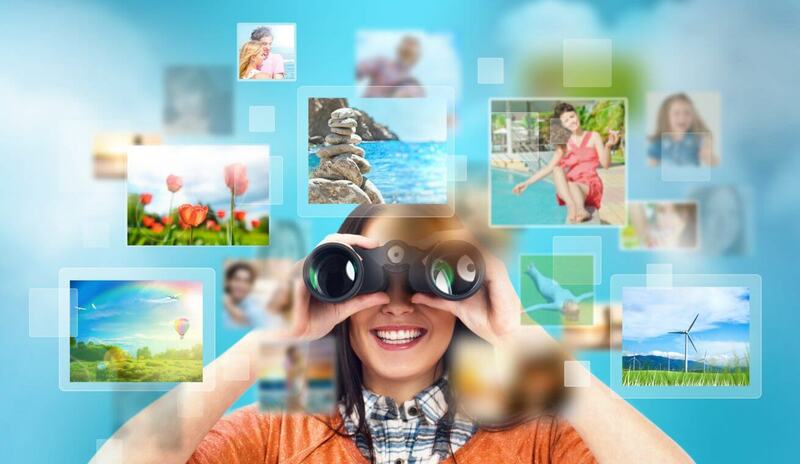 Here are 5 ways that stock photos can help you to enhance your marketing message. Stock photos might feel a little strange to use until you think about the reasons that they could be used to help your business. When you’re first entering the field or if you’re in the midst of a pivot, you might be unsure of your footing. Stock photos can give you the confidence you need to move forward with your business. Stock photos are able to help you to build up your confidence and to puff out your chest a little to your competitors. When you project a strong image of what kinds of services your brand provides, you keep your competition at a distance. If they can see that you either have the goods to deliver or aim to deliver them, they’ll step back. Use stock photos to tell competitors what you’re about. Don’t cower under the pressure of bigger, wealthier, more established brands that you’re competing against. Fake it until you make it with some images that show you as a strong competitor in your field. If you’re looking to start carrying a new product in a new area, having images that reflect that concept will get you the clientele you want. If you’re moving from having a younger demographic to an older and more sophisticated one, use stock photos to show that idea. Stock photos give you the chance to look the way you want your customers to see you. If you currently cater to an urban tech-loving customer base, just a few images could have you courting farmers in a Midwest state. When you post images on your website or on social media, you project to the world the kind of market you want to have knocking on your door. If it’s time to head out to the country or into the city, so to speak, use images that show where you’re headed. Different demographics require different signifiers. For a younger market, seeing a bunch of people two generations older than you in the promotional materials doesn’t inspire confidence. It might seem counterintuitive but it also works in the opposite direction. Sometimes older people don’t want to be trying to engage in the same activities as younger people. We live in an amazing time where intersectionality and multiculturalism have brought us some of the most important developments in every field. By opening up our offices and workplaces to everyone from every conceivable background, we get to enjoy the fruits of everyone’s diverse cultures and experience. This gives us opportunities we may have never thought of. However, not every company is where they want to be yet. Some companies are clamoring for more diversity in the pipeline but years of cultural conditioning and patriarchy have kept out the talent they want. Representation matters and when you don’t have the people you want on board yet, you have to project an image of what you want. If you’re in the hiring process and not getting enough diverse applicants, you can include photos in your calls for applications that are more diverse. Showing the kinds of people who could be working with you but aren’t yet might help to bring them into contact with you. It’s a small effort but it can make a big difference to have great stock photos on your website when you’re trying to reach out to new people. The reason you get out of bed in the morning is that you know you run a great company. You know that your products are top of the line and that you have the best customer services. However, you might not be projecting that image to the world. It’s easy to project the image you want with stock photos. It’s up to you to show your customers what they could be getting and what you could offer them. While you might not have the budget right now to take the photos you need, you can get some temporary placeholders for the time being. Building trust with customers takes time. It’s essential that you do so sincerely and don’t try to force your customer base into believing that you’re sincere. You’ll be getting in your own way. Show them you’re doing great work with images that reflect the ideal of what you can do. If you’re a new business, it might be impossible to show off the kind of finished product that you aim to be doing in a year. There’s a real chicken and egg dilemma when it comes to building your business from the ground up. You need clients to sell products and services but it’s your success in providing products and services that wins them over. If you don’t have the building that you’re working on finished and furnished, stock photos could show people lounging in a space like the ones you’ll be providing. If you’re in the midst of a relaunch, you could show your clients the products and services to be provided as soon as the relaunch is off the ground. Image360 has an image for just about every potential product and service out there. If you’re still asking yourself “can stock photos help my business”, it’s time to stop asking. The bare fact of the matter is that stock photos can make a huge difference in the success of your company. If you’re wondering if your web designer has the goods to make your site meet the quality of your stock photos, check out our guide to know what skills they need.